The National Climate Assessment shows a sea level hockey stick, starting at the beginning of the 20th century. The 1990 IPCC Report said the exact opposite. 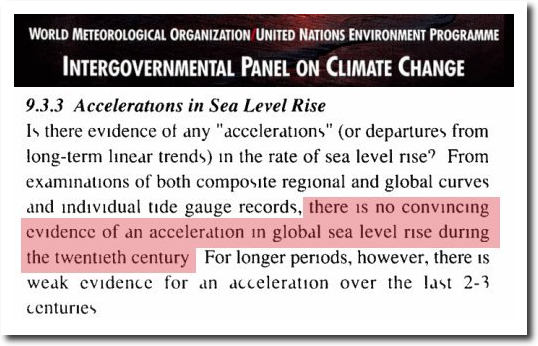 there is no convincing evidence of an acceleration in global sea level rise during the 20th century. For longer periods, however, there is weak evidence for an acceleration over the last 2-3 centuries. Climate scientists simply making stuff up, just like they always do.